Pictures can be freely used for non-commercial or news and information use. We have thousands of DIGITAL images of Panama in our library. 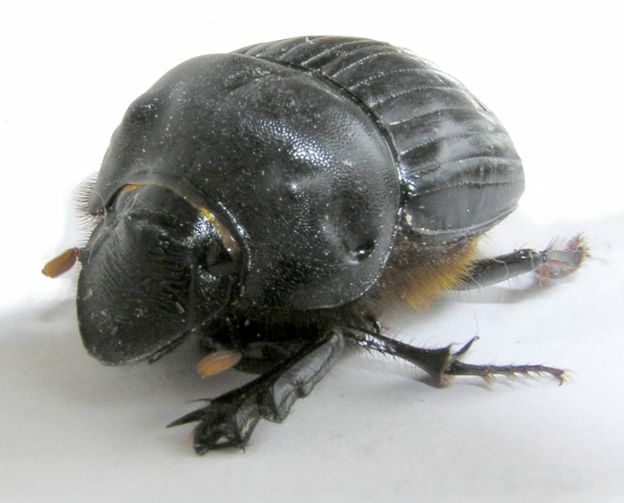 The following scarab type beetles are common in the highlands of Chiriqui, Panama. 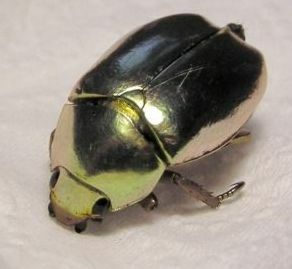 The first is a 2 inch long "upside down beetle." 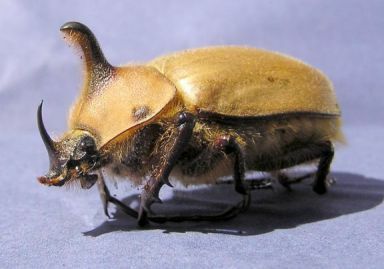 So named because it spends most of its life on its back with it's legs wriggling in the air. It tries to climb walls and stairs and its center of gravity causes it to invariably fall over backwards. Not one of nature's smartest creatures. 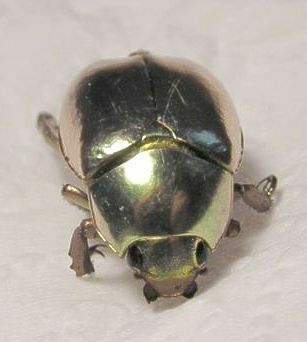 Most striking is the fabled "Golden beetle." 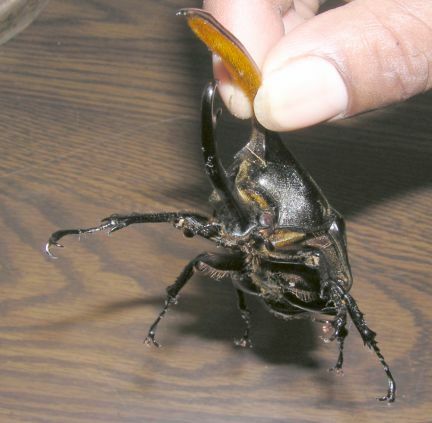 This remarkable creature is about 1 inch long and is found mainly in coffee bushes. 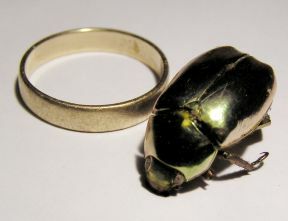 For size and colour comparison, one picture shows the beetle next to a gold wedding ring. 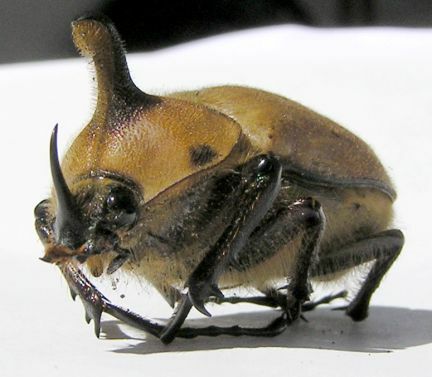 The following two bugs look quite fearsome up close, and I wouldn't want prospective visitors to Panama to think these creatures are common-they are not. They are just part of the wonderful diversity to be found in this country. 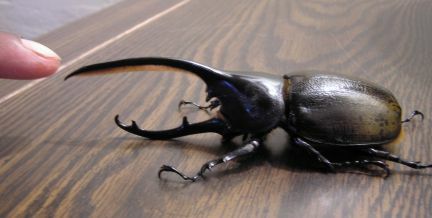 The first horned beetle is about 2 inches long, the second the "Stag" beetle is about 7 inches in lenghth. Below are two shots of a Preying Mantis. 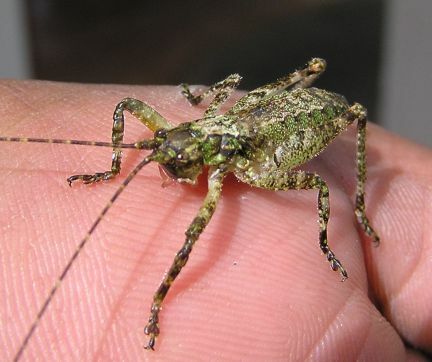 These insects are reputed to be the ace of fly catchers. 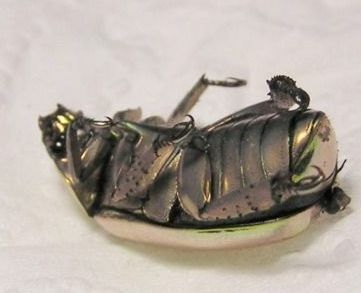 (An old war story) years ago when I was in the military in Libya, some of my fellow soldiers had Mantis tied on a piece of string on the end of their beds. The barracks were almost completely free of annoying flies. 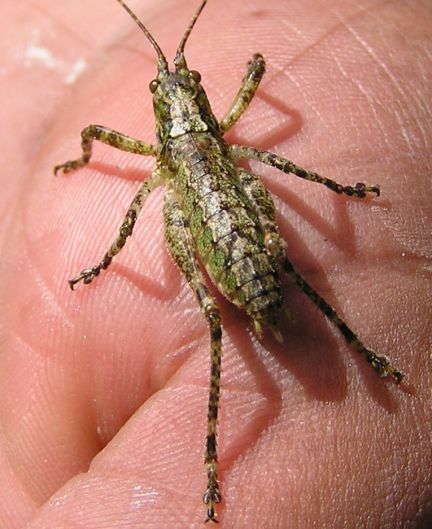 So, it seems, all of God's creatures have a purpose.